Close to where Frankland Lane crosses the railway; south of Frankland Prison and Low Newton Remand Centre. Precise site uncertain. Notes: The Bishop Auckland branch from Leamside via Durham opened to passengers on 1 April 1857. It is thought that there were initially no intermediate stations, but from March 1861 Frankland Siding appeared in Bradshaw timetables. The February 1863 edition shows includes a footnote that the 8.05am ex-Bishop Auckland and 3.35pm ex-Sunderland call at Frankland Siding on Saturdays. 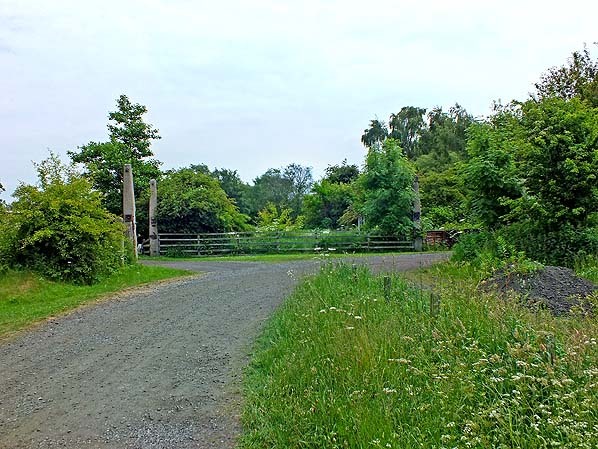 Unfortunately no large-scale Ordnance Survey maps show the station, but it presumably served an isolated colliery and/or the nearby brick-and-tile works and about a dozen cottages. In 1868 the ‘Siding’ suffix was dropped from the station name. The Saturday-only service eventually became alternate Saturdays, and the station last appeared in Bradshaw in July 1877. It is unknown whether the station had either platforms or buildings. The colliery was shown as disused on the 1898 OS plan, but the brick and tile works remained in use well into the twentieth century. 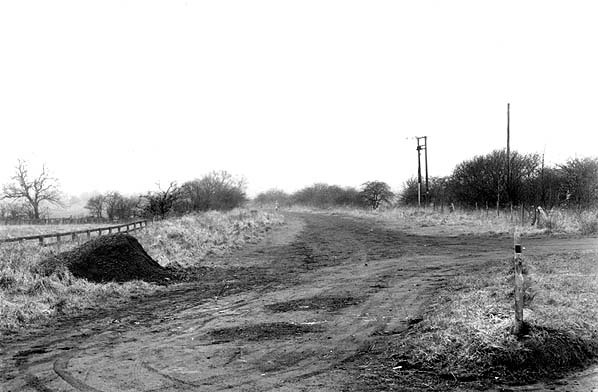 A goods service was maintained at Frankland Junction (where a mineral line branched off to Framwellgate Moor) until 30 September 1963. Bradshaw from Alan Young. Route maps drawn by Alan Young. Frankland signal box with a cheerful signalman, looking north from the level crossing in May 1955. 1873 1:2,500 OS map. 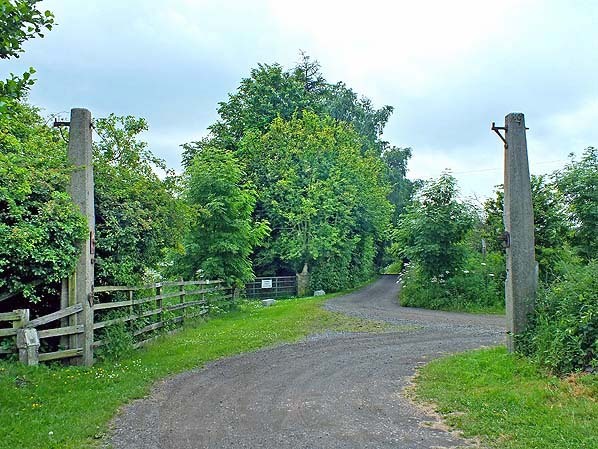 Frankland station was not shown on Ordnance Survey maps, and its precise site is not known. 1898 1:2,500 OS map. The passenger station at Frankland closed some twenty years before this map was published in 1898, and there is no cartographic evidence of its existence. The precise site of the station is not known. 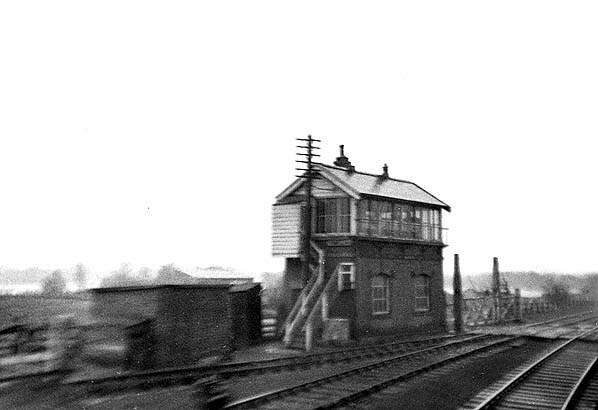 Frankland signal box and siding looking towards Leamside in 1964. The photo is from a Durham-bound train. 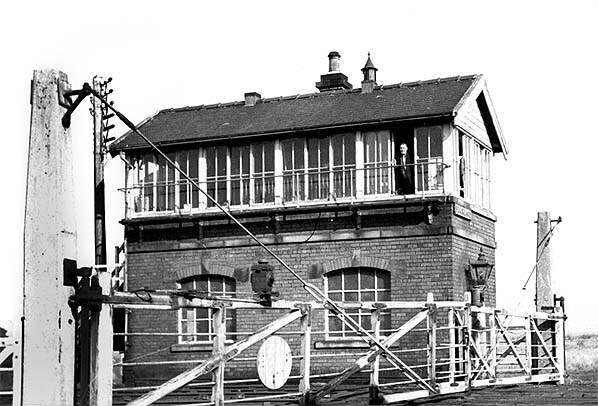 The siding had closed to goods traffic in September 1963. The passenger line through Frankland closed in May 1964 and to goods and mineral traffic the following October. 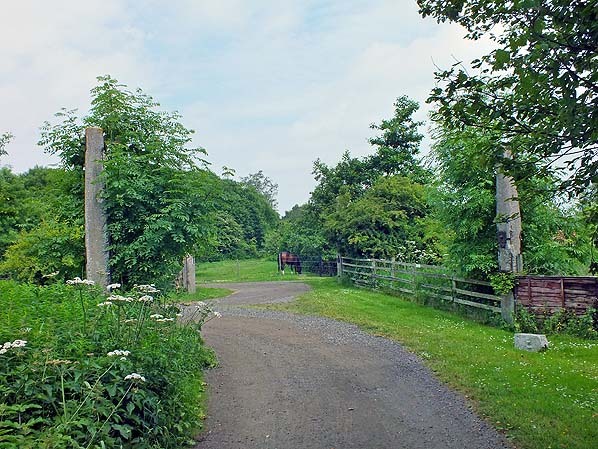 The precise site of the passenger station originally called Frankland Siding – later changed to Frankland – which closed in 1877, is not known. Goods services ceased between Leamside and Durham on 22 October 1964; Frankland Siding closed to goods just over a year earlier. 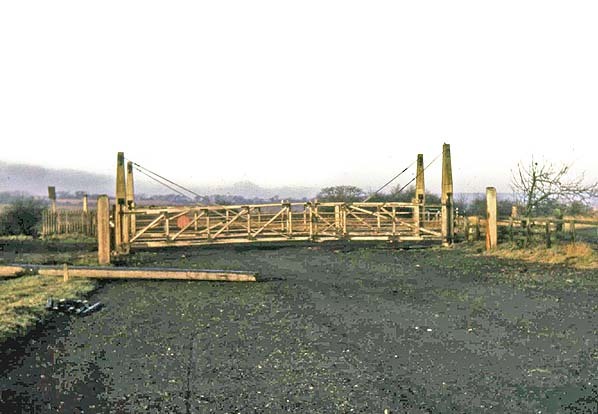 Track-lifting was carried out soon after, as seen in this east-facing view in 1966 of the former level crossing at Frankland, with its gates still in place. Looking west from the former level crossing at Frankland in January 1988. 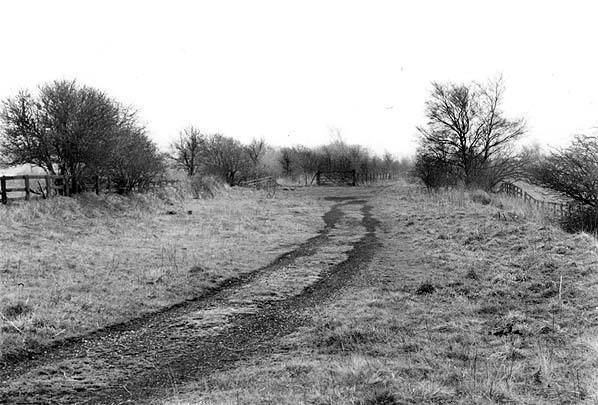 The railway tracks were removed from here by 1966. Looking east from the former level crossing at Frankland in January 1988. Looking east from the former level crossing at Frankland in June 2013. Looking north over the old level crossing at Frankland in June 2013. 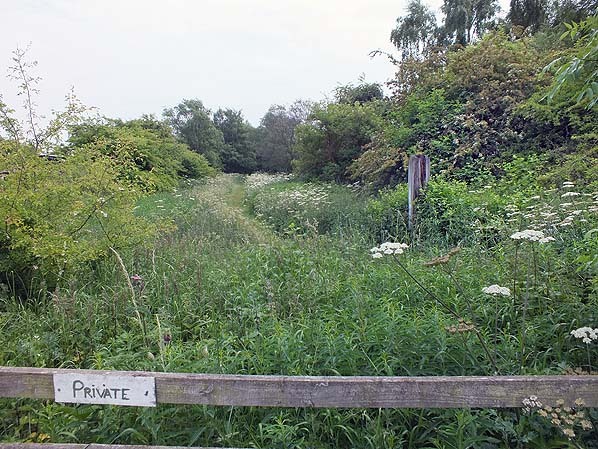 Looking South over the former level crossing at Frankland towards the School Row in June 2013. 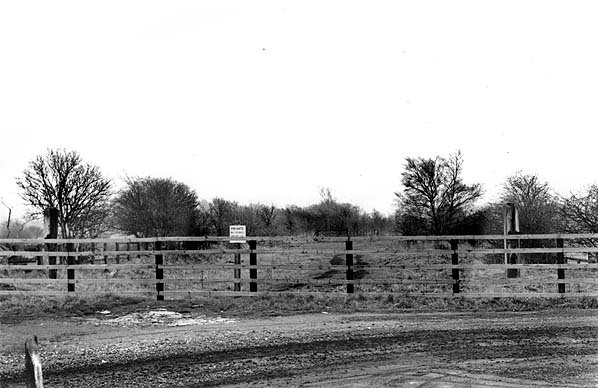 In June 2013 this is a similar view to that in the 1964 photograph. The former level crossing is ahead, with the site of the signal box under a bush to the left of the crossing post.